When buying a used iPhone, it’s important to use iPhone IMEI checker to check the IMEI code of the device to make sure that the device is not Sim locked, blacklisted, reported as lost, stolen or iCloud locked. If the iPhone has been blacklisted before, it can’t be activated on any carrier and you can’t use it. In the most cases, iPhones are blacklisted because the original owner reported the device as lost or stolen. In other situations, the carrier can blacklist the device because of unpaid bills or outstanding balance. This phone can’t be used to make cell phone calls or send messages. You can use it as an iPod Touch – just for browsing the internet, taking photos, navigation or etc. By using our iPhone IMEI Checker tool, you can easily check iPhone Carrier, Simlock, iCloud or Block status by IMEI code or serial number. We recommend you to use the paid IMEI check option to get the 100% correct details for your iOS device. To find the IMEI Code of your device, just dial *#06# or navigate to Settings -> General -> About and scroll down to the IMEI section. If you have trouble to find the IMEI code of your iPhone, please follow our methods to find iPhone IMEI. Model – Check device model. Carrier – Check iPhone Original Carrier. Simlock – Check if iPhone is Unlocked. Block Status: Check iPhone block/blacklist status. iCloud status: Check iPhone activation lock status. Purchase – Check iPhone Purchase date. Warranty – Check iPhone Warranty. 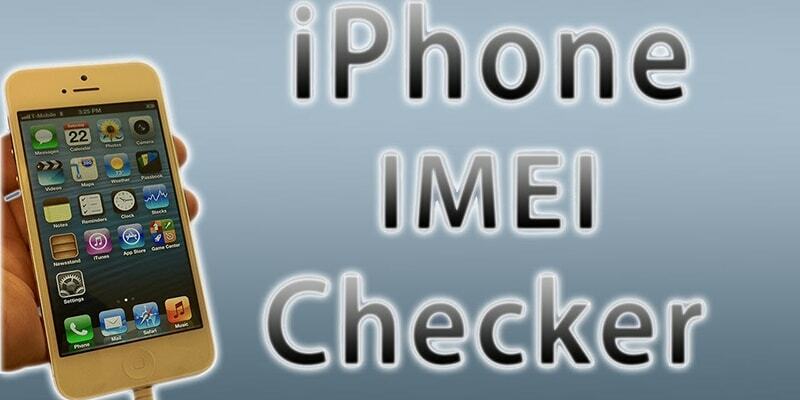 This IMEI Checker form can be used only for UnlockBoot customers. Our working iPhone IMEI Checker provides details from Apple GSX servers. Please use our official iPhone Unlocks to help us to keep the IMEI checker online and completely free for you! Initial Activation Policy Description: Unlocked. Applied Activation Policy Description: Unlocked. Next Tether Activation Policy Description: Unlocked. If you own an iCloud locked iPhone, then you can follow our superior iCloud bypass tutorial and enjoy your device again. The bypass trick was tested by our team and it works for all devices and all iOS firmware version including the new iOS 11. The IMEI check result will be delivered to your email used when you complete the process. If you have any other questions, please don’t hesitate to contact us.